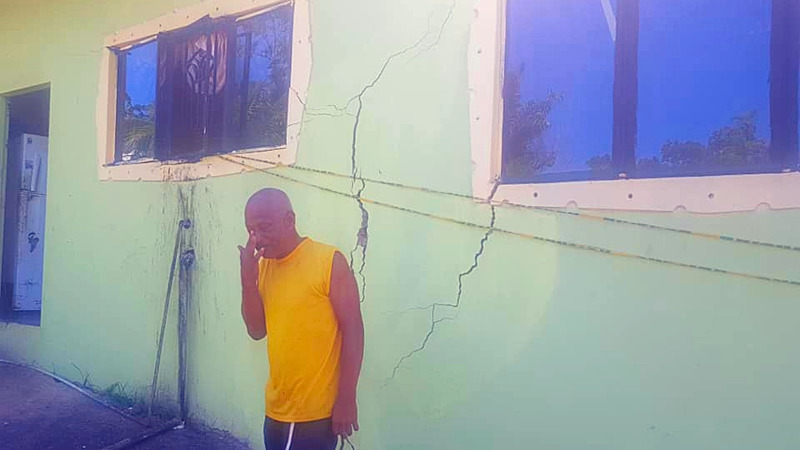 Photo: Cracks and other damage was sustained at a house along Penal Rock Road, Moruga. 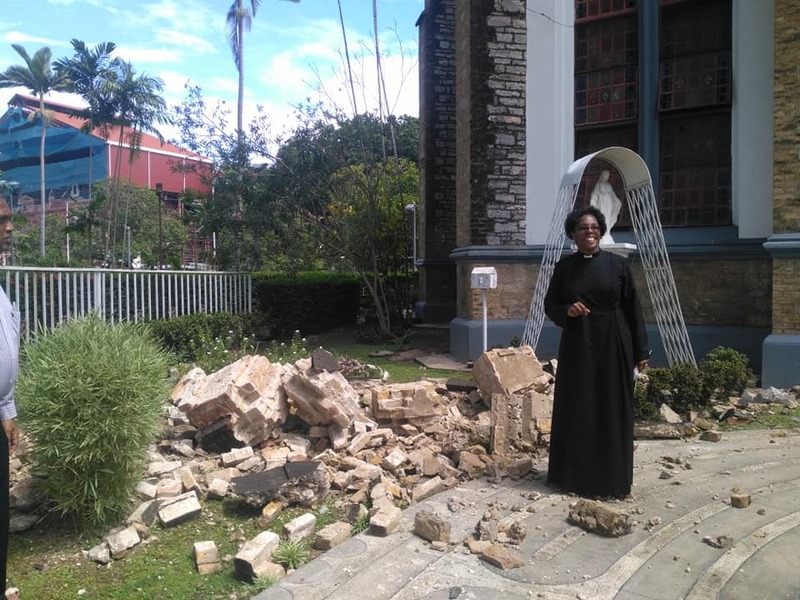 The Ministry of Rural Development and Local Government has received a total of 213 reports of damages from Tuesday's 6.9 earthquake, as of Thursday August 23, 2018. 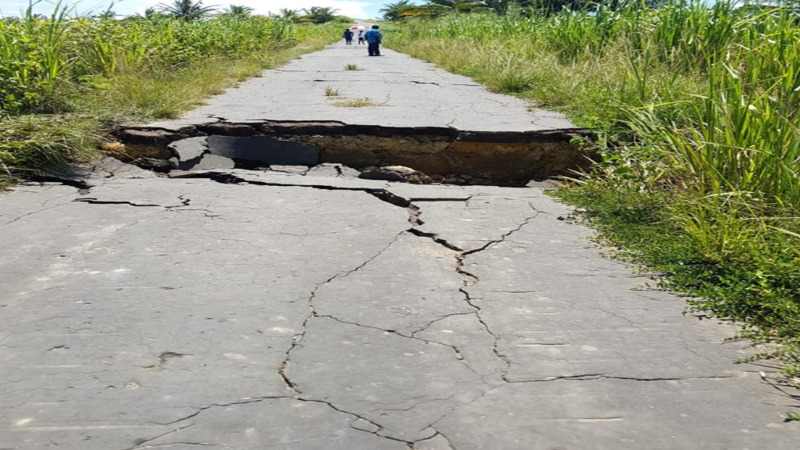 The Ministry of Rural Development and Local Government said reports of damages to property and homes from Tuesday's 6.9 earthquake continue to come in, with a tally of 213 reports as of Thursday, August 23, 2018. Following Tuesday's 'quake, the ODPM confirmed a total of 32 aftershocks, including Wednesday's 6.0 event, since the initial event on Tuesday. In a statement issued Thursday, the Ministry said these consist of both major and minor structural damage to private homes, adding that assessments have been completed for 146 of these reports. Minister Kazim Hosein said the majority of reports consisted of minor structural damage. The Ministry said Disaster Management Units would be continuing their assessments on Thursday and Friday to ensure citizens' safety an continues to monitor the situation. 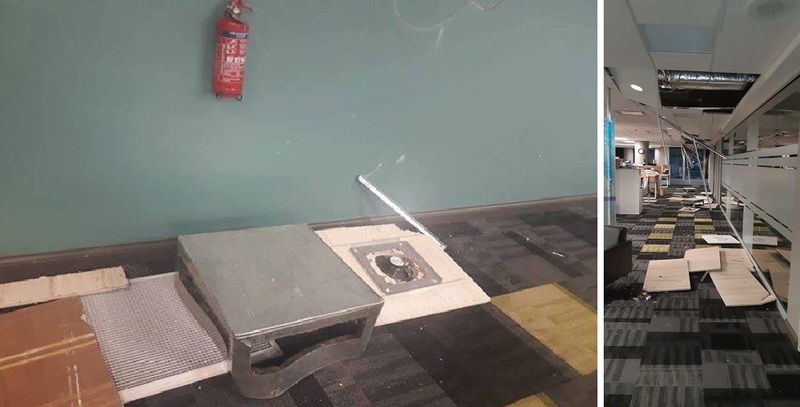 The National Emergency Operations Centre (NEOC) said it is currently coordinating assessments of primarily all critical infrastructure, government buildings, and roadways after Tuesday's earthquake. The University of the West Indies (UWI) Seismic Research Centre (SRC) said Wednesday's aftershock was upgraded from 5.8 to 6.0 after being reviewed by a seismologist. The NEOC said as of Thursday midday, there were no reports of serious injury, loss of life or significant damage to critical infrastructure. "Aftershocks will continue and some may be at a magnitude large enough to be felt. Citizens are reminded to STAY CALM." "The NEOC warns against the creation and circulation of fake content (i.e. news, photographs and memes) which can cause unnecessary panic or concern to citizens and visitors. As citizens, we must continue to display patriotism by looking out for one another." The NEOC said priority has been given to the completion of the Initial Damage Assessment (IDA) and Damage and Needs Analysis (DANA) across all sectors, with the focus being directed to governmental/ government-used critical facilities, and other building stock. The NEOC said the Ministry of Works and Transport (MOWT) has actively initiated inspection of critical facilities and is coordinating and implementing a national response team consisting of qualified and experienced personnel in building infrastructure. This team was dispatched across all municipalities on a priority basis to determine the structural safety of government buildings for occupancy. Requests were made for inspections on 65 buildings which included 20 schools, of which, 22 had completed inspections and three are ongoing. The Ministry said all facilities inspected were found to be suitable for occupation and assessments would continue throughout Thursday. The Ministry said Initial Damage Assessments (IDAs) were conducted by personnel from the 14 Municipal Corporations and said Damage and Needs Assessments (DANAs) will continue in municipalities. The ODPM said the Trinidad and Tobago Fire Service (TTFS) will continue the inspection of government/government-used facilities, inclusive of schools. The Geological Society of Trinidad and Tobago (GSTT) confirmed activity at the Devil’s Woodyard Mud Volcano in New Grant, Princes Town. To maintain public safety and security, the Hindustan Road in New Grant remains closed to vehicular and pedestrian traffic except to persons who reside in the area. Citizens and visitors are advised to avoid visiting the area at this time. Activity has also been reported at the Piparo Mud Volcano. There are no road closures at this time. Meanwhile, the Tobago Emergency Management Agency (TEMA) has confirmed that damage assessments in Tobago are now 80 percent completed. Representatives from various National Security Agencies continue to be stationed at the National Emergency Operations Centre to coordinate and verify information for public updates. Minister of Works and Transport Rohan Sinanan said assessments of the nation's major roads and highways are being done and so far no structural damage has been noted. The Traffic Management Branch of the Ministry of Works and Transport has reopened the roadway on Independence Square (North) between George Street Extension and Nelson Street, Port of Spain, (outside Catholic Cathedral). The Trinidad and Tobago Prison Service (TTPS), and Trinidad and Tobago Police Service (TTPS) are reporting no major structural damage to facilities. The Mayaro Fire Station was reported to be affected by the earthquake. The MOWT has inspected the facility and the building was found to be safe. Some damage has been noted along roads in rural areas, including along Penal Rock Road, Moruga, as well as Los Iros. 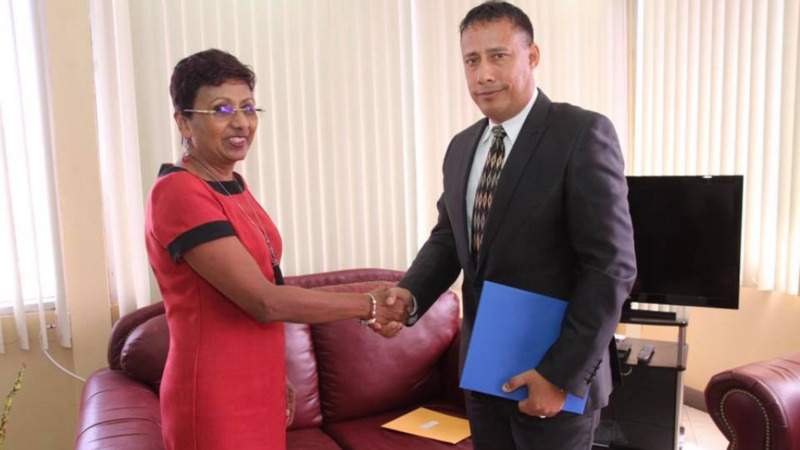 The ODPM said the Housing Development Corporation (HDC) dispatched a cross-functional team on Wednesday to conduct structural damage assessments at all HDC communities. The team includes officers from the Project Development and Oversight Division, Construction Management and Operations Division, Health and Safety Unit, Estate Management Division and Social and Community Services Unit. The team will continue to assess all units and provide assistance to residents who may have been affected. The Ministry of Health said all health facilities across Trinidad and Tobago are operational, however the North West Regional Health Authority cleared the 4th and 5th Floors of the Central Block in the Port-of-Spain General Hospital as a precaution. The ODPM said movement from the other floors will continue on a phased basis and patients were relocated to other areas within the hospital where they will receive the required care. The North West Regional Health Authority Ministry received assistance from the Trinidad and Tobago Defence Force and the North Central Regional Health Authority and the South West Regional Health Authority as required. Additionally, the Ministry of Energy and Energy Industries (MEEI) reported no structural damage to the energy sector facilities. The Ministry of Education has confirmed that inspections are being conducted by the Trinidad and Tobago Fire Service (TTFS) of the nation’s school and school laboratories. The ODPM said the Water and Sewerage Authority (WASA) conducted water quality testing on all major water treatment plants and found the water was standard with no compromise to water quality. The Authority will continue to conduct inspections of all their facilities for damage. The Trinidad and Tobago Electricity Commission (T&TEC) confirmed that the following areas were still experiencing power (electrical) outages up to Thursday morning: Mt Catharine, Port of Spain; Erthig Road, Belmont; Pashley Street, Laventille. T&TEC said it is working diligently on restoring services in affected areas. The Telecommunications Services of Trinidad and Tobago (TSTT) confirmed that no service impact was been reported. TSTT confirmed that Diego Martin Industrial Estate was restored. However, the Toco Main Road Rampanalgas site is still being addressed by T&TEC, which was expected to be resolved on Thursday. The ODPM said the financial/banking sector reported no major damage to facilities. Damage and Needs Assessments (DANA) and subsequent conduct of Damage and Loss Assessments (DALA) will continue across Trinidad and Tobago. Citizens impacted that require assistance with conducting inspections following the development of cracks or signs of damage have been advised to contact their respective Municipal Corporation or TEMA through its toll-free hotline numbers. The ODPM said all first responder agencies are on alert to provide assistance in the event of aftershocks. - STAY CALM. DO NOT PANIC. BE ALERT. - If inside stay inside, do not run out of the building as you may be injured by falling debris. - If inside, DROP, COVER and HOLD ON until the shaking stops. - Get under a sturdy desk, table or bed and hold on or stand in a strong doorway. - DO NOT USE ELEVATORS OR STAIRS. - Move away from windows, mirrors, glass doors, pictures, bookcases, hanging plants and heavy objects. 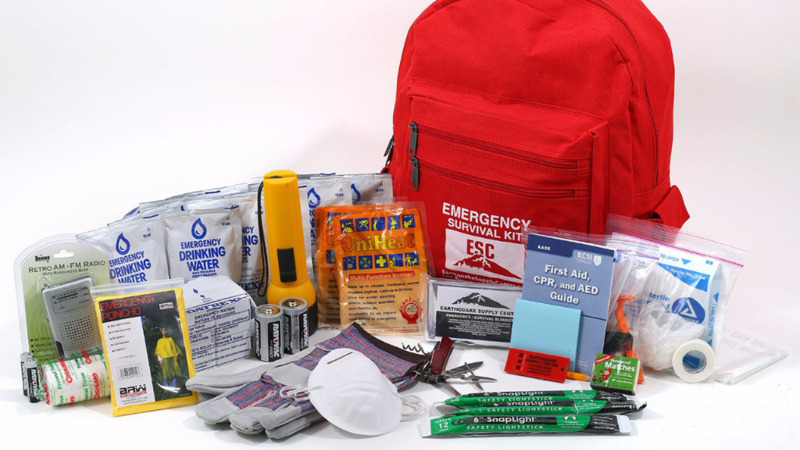 - If outside and there are no obvious signs of danger nearby, stay there. - If outside, stay away from glass buildings, electricity poles and bridges. - If in a vehicle, do not stop on or under a bridge. - Always look out for falling plaster, bricks, lighting fixtures and other objects. The ODPM said Trinidad and Tobago is not under any tsunami watch or warning and urged the public to continue to monitor officials platforms for updates.